This week, I decided to try to make a menu plan with what we got today and what we had left from last week’s basket, along with a few of my own random items. This week’s basket: parsnips, a head of lettuce, 2 tomatoes, potatoes, bok choy, mushrooms, strawberries, pears, oranges, 3 apples, red pepper, ginger root. PRODUCE: a few organic shallots, 2 organic carrots, 2 organic yams, 2 organic oranges, 1/2 head of organic cauliflower, 1 organic mango, and half a bunch of organic scallions from last week’s basket, some organic celery (already washed and chopped into snack sizes), 1 green pepper, 2 organic apples, 2 lemons, 2 limes, garlic, 2 red onions, 1 pomegranate. FRIDGE: all-natural eggs, organic milk, all-natural almond milk and soy milk, Trader Joe’s Blueberry Pomegranate all-natural juice (with hidden veggies! ), organic whole chicken (on sale at Publix for $1.99/lb. right now), organic carrot juice. PANTRY: organic steel cut oats, organic quinoa, all-natural peanut butter, organic brown rice, organic canned black beans (and other varieties, dried), whole-wheat all-natural pasta, all-natural tomato paste, all-natural marinara sauce, organic low-fat coconut milk, raw honey, Multi-grain Cheerios. FREEZER: Organic Edamame, all-natural frozen mixed berries, chopped all-natural walnuts and pecans, homemade chicken broth. Grocery list: mozzarella (for pizza), dijon mustard and 4 oz. sharp white cheddar (for cauliflower sandwiches), graham crackers and 1 pint heavy cream (if I decide to make the key lime pie and lemon tart). Baked Yams: rub with oil, sprinkle with sea salt, bake at 450F for 40 minutes. serve with 1 tsp. butter, 1/2 Tbsp. cane sugar, 1/2 c. chopped walnuts. Milk and Honey Organics: I’m in Love! Week 2 from Milk & Honey Organics was every bit as good as Week 1! You probably think it’s crazy, but I was so excited waiting for my basket today! Am I the only one that gets giddy over fresh, organic produce!?! This week’s sweetness basket came with a pile of parsnips (look like white carrots), a head of lettuce, 2 tomatoes (from local Hurricane Creek farm), a pile of potatoes, baby bok choy (cabbage), mushrooms, strawberries, 3 pears, 3 oranges, 3 apples, a red pepper and a ginger root. 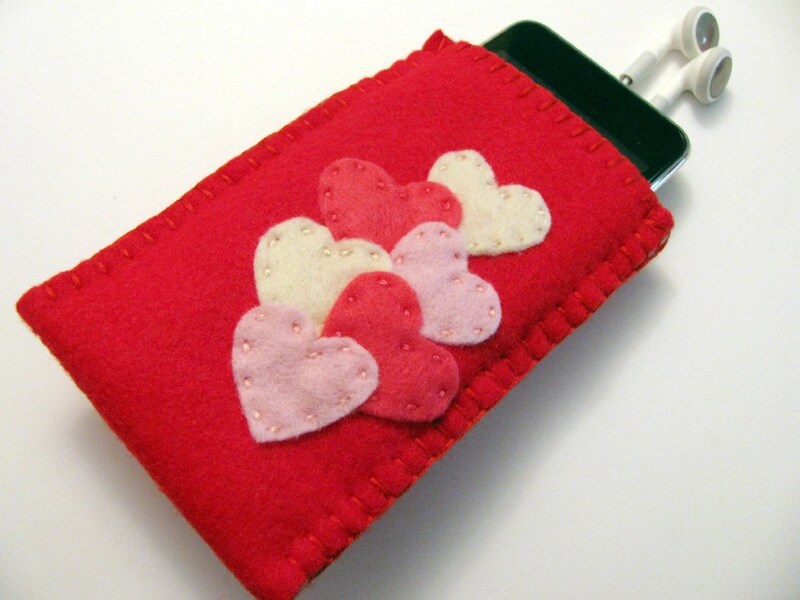 And she even put the little Valentine stickers on them (see Valentine’s post here for the free download). The strawberries said “I love you…BERRY, BERRY much.” The pears said, “We make the perfect PEAR.” And the apples said, “You’re the APPLE of my eye.” All for just $35 (minus $5 for the survey discount). I’m in love! This week, I decided to make a menu plan with what we got today (see list above) and what we had left from last week’s basket, along with a few of my own random items. Check out the next post for a Menu Plan for Two! These adorable Valentine Stickers are a free printable download from Twig & Thistle. What a great way to tell your spouse or kids you love them by sticking these in their lunch boxes! This next DIY Valentine is every bit as sweet as the last, but probably not as good for you. Homemade Lollipops from Crafting a Green World blog. 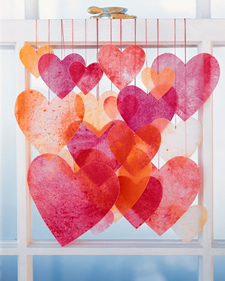 Here’s a simple one from Martha Stewart: Valentine Sun Catchers made from recycled crayons. Click the picture for instructions from Martha! Now here's some conversation hearts that last and won't rot your teeth! These hand stitched felt envelopes are adorable! Valentine's Banner - Create your own message! Or how about these matchbox valentines filled with your favorite candy! What a great idea for kids to share with their classmates! So cute! 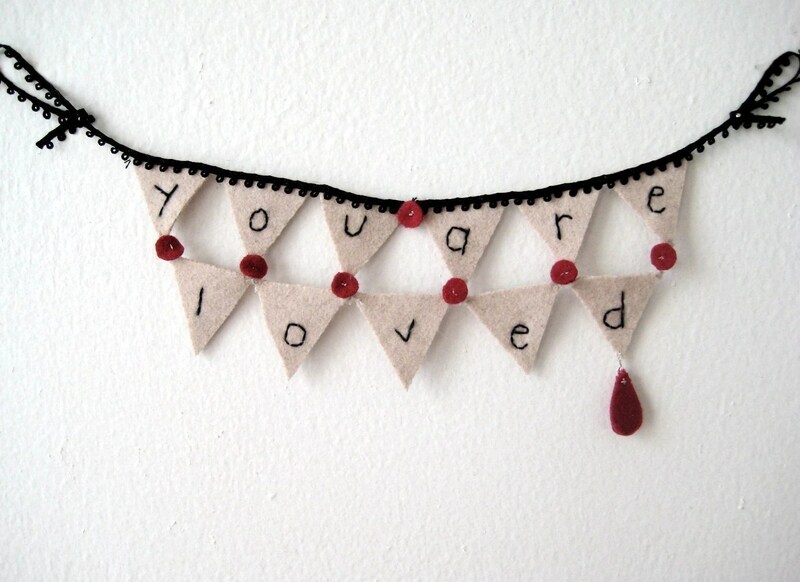 You could make this simple or elaborate and hang in the kitchen or on a mirror. If nothing else, there’s always the handmade card or homemade coupon booklet (coupons for free dinner out, free babysitting, free back massage, or whatever your Valentine loves). Happy Valentine’s Day! Today was a slow day at work. I did, however, get much done, including a new layout for our quarterly newsletter (which the team seemed to really like)! I was really looking forward to tonight, though. Bryan and I had tickets to see the Philharmonic of Poland at BJU. I’ve been looking forward to this for over a week now. First, my family heritage is Polish. Second, I visited Poland in 2003 and was looking forward to some Polish culture again. Third, we were actually going to get dressed up for this concert (something we don’t do super often)! Needless to say, we were unable to go. Bryan is getting over a nasty head cold and was afraid he’d cough through the whole thing. Fortunately, we are going to be able to use the tickets towards a future performance (hopefully Pride and Prejudice). So, since my evening was suddenly free, we decided to watch last night’s episode of Castle while eating dinner: whole wheat pasta with marinara, sausage and pepperoni (no cheese). While dinner was cooking, I went ahead and cooked up some Warm & Nutty Quinoa with Mixed Berries, for the next 5 days of work! So fast, and it’ll help me get out the door a little earlier, with any luck. Then we sipped on hot tea (Celestial Seasonings’ Peppermint for Bryan and Tension Tamer for me, both with honey). I’m not sure what Bryan was working on, but I took a few hours to reorganize my hard drive, delete a bunch of extraneous files, and run my software updates. It was a night well spent. After a little Bible reading, laundry folding, and dish washing, it’s time for bed. Good night, world! Heat butter and oil in large saute pan over medium low heat. Saute garlic (and shallots and mushrooms, if desired) for 1-2 minutes. Add roughly chopped cauliflower florets. Cook until softened (about 5-7 minutes). Stir in dijon mustard (feel free to add salt and pepper or Lawry’s seasoned salt, if desired). Sprinkle with cheese and continue cooking till cheese is melted. Serve hot. It’s Finally Here! Organic Produce Delivered to My Kitchen! Definitely fill out the survey on the side bar before you order. Once you fill out the survey, you get a coupon code for $5 off your first order! One of the surveys lets them know what fruits and vegetables you LOVE!! !, are okay with, or think are YUCK!! It’s so cool! A giant head of lettuce, a bunch of kale, cauliflower, broccoli, 4 large carrots, a bunch of green onions, 4 large shallots, 3 yams, 1 mango, 4 oranges, 3 apples, and 7-8 bananas. 100% Organic and Delivered!! I could get used to this! The guy who dropped it off is the husband of the business owner. He actually brought it all into my kitchen and put it on my counter for me (so he could reuse his cooler). He also said his wife tries to email recipes that contain the more unusual produce items to the customers each week, in case you don’t know what to do with your groceries. This means my grocery trip will consist of buying my fruit-veggie juice blend (from trader Joe’s that we take our vitamins with each a.m.), organic milk (almond/soy milk for me), eggs, rice (or other grains), beans, and the occasional meat. I’ll be in and out in 15 minutes! So, if you’re in the Greenville-Spartanburg area, check out Milk & Honey Organics! Place your order by Tuesday at noon if you want a delivery on Thursday. 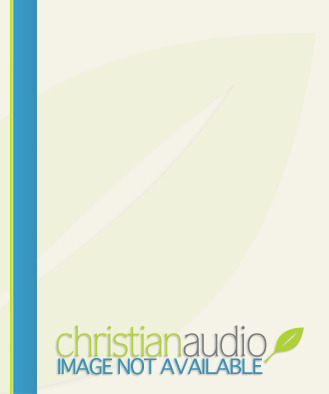 Check out ChristianAudio.com for all kinds of audio book downloads, podcasts, and other great resources. There’s actually quite a few FREE downloads. I just downloaded three audio books that I can’t wait to listen to on the way to and from work! Click on the logo above to be directed to their site. Set up a free account and pick some free resources! What’s stopping you? !